Today is our Official Launch!!! ALL ITEMS WHICH HAS BEEN PURCHASED IN THE DONATION SHOP WILL BE REMOVE. ALL ITEMS WHICH HAS BEEN PURCHASED IN MIDDLE HEADGEAR SLOT NPC WILL BE REMOVE. ALL PROOF OF DONATION AND TCG's WILL BE REMOVE. 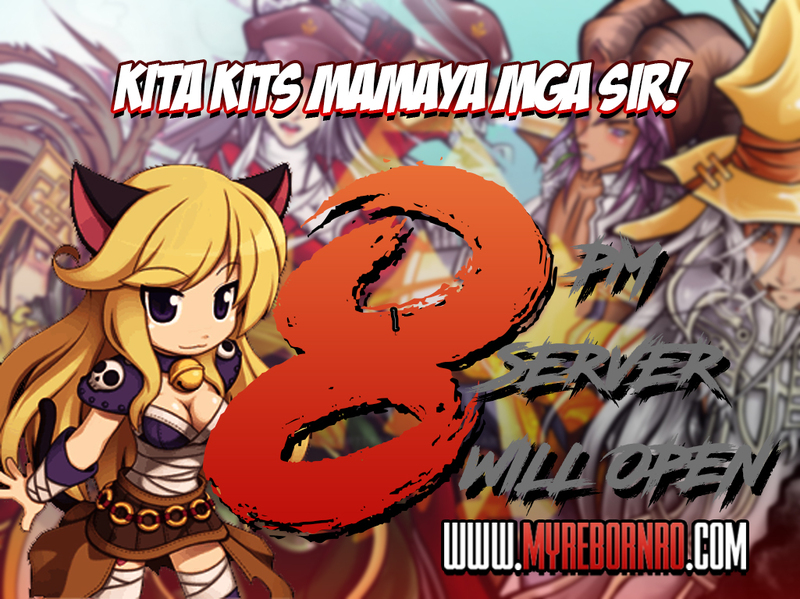 PLEASE DO NOTE THAT ALL CARDS EQUIPPED ON THE DONATE ITEMS SHOULD BE REMOVE BEFORE SERVER MAINTENANCE. ALL ITEMS THAT HAD BEEN ACQUIRED VIA HUNTING/EVENTS/ZENY WILL REMAIN. This commands are now enabled. MRE Ticket will be receive directly to your Character every HOUR. All 3 letters should match with each other to win!